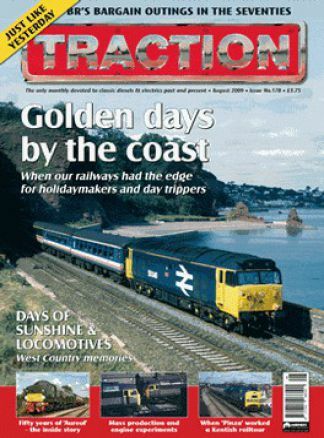 Take out a subscription to Traction magazine, the only monthly magazine devoted to classic diesels & electrics past and present. Each issue in a subscription to Traction magazine is packed with information that will keep you abreast of the latest changes on the national network and developments on the preserved lines. When you add to this our nostalgia-filled features on the heyday of diesel and electric power and some of the best railway photography around and you will see why you wont want to miss a single issue. Make sure you dont  invest in a subscription to Traction magazine today. And with free delivery straight to your door, theres even more reason to treat yourself to a subscription to Traction magazine. Dont hesitate, sign up for a subscription to Traction magazine today!